Home News Is IMDB Blocked in Pakistan? After a year long ban on YouTube, now its imDb (Internet Movie Database) that has been reportedly banned in Pakistan. This international entertainment portal is owned by Amazon.com and provides information, ratings and reviews for movies, television shows and video games. Pakistani’s being a nation in love with movies and celebrities has a strong fan following for ImDb. Its popularity in Pakistan can be judged from the fact that it ranked 16th in Pakistan, only second to Twitter. IMDb was launched on October 17, 1990 by Col Needham. It was acquired by Amazon.com in 1998. Till date the web portal has more than 2 million movies and shows titles and has more than 5.5 million celebrities in its database. More than 48 million users have registered accounts in ImDb’s database that allows them to rate movies and shows, create watch-lists, and participate in discussion forums. The website ranks 47th in the World’s Top Website rankings. Just when the Pakistani movie industry is seeing a revival of interest, with Waar getting 9.2 ratings on ImDb, the Government of Pakistan decided to ban one more significant link to the world of entertainment and technology. However, PTA has not officially acknowledged the ban on imDb – reason still unknown. 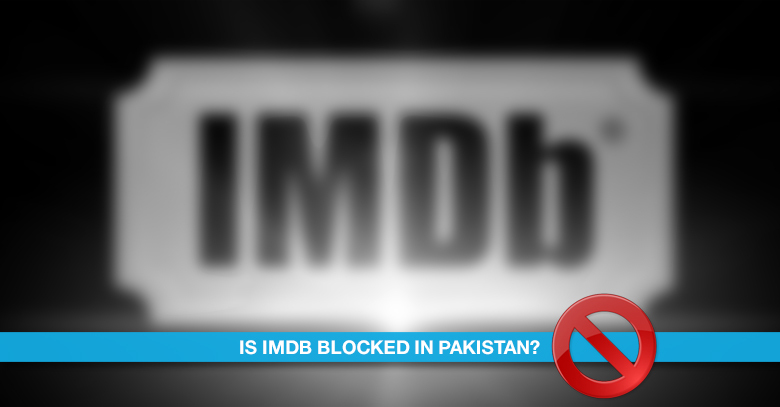 Why do you think PTA has banned imDb in Pakistan?